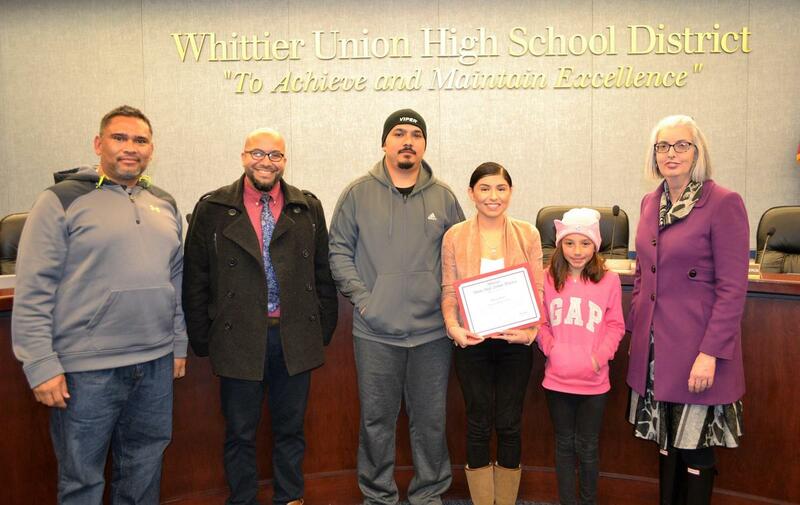 Frontier High School student and at-promise youth Maria Ortiz, who went from being severely credit-deficient to becoming a Top Producer on her way to graduating high school and going to college, was recently recognized with an Award of Merit for successfully re-mediating her credits. Frontier is Ortiz’s fourth high school. By her own admission, graduating from high school was not important to Ortiz as a freshman. She entered high school as a long-term English learner and teen parent. Over the past 18 months, Ortiz made a turnaround and has earned a Top Producer award three times, her daughter is thriving in the school’s childcare center and Ortiz will graduate with her class in June. So far this year, Frontier has returned 31 students to traditional high schools and graduated 47 students.